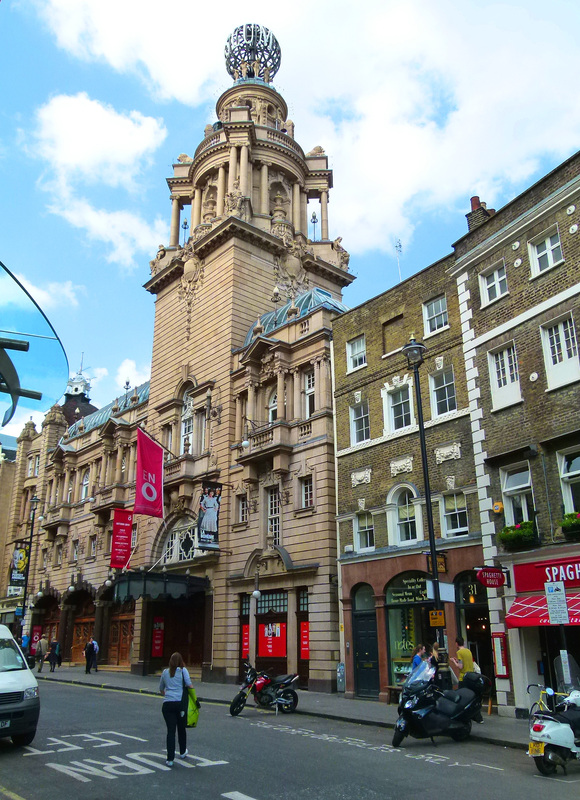 Pictured below is the London Coliseum (home to the English National Opera), which is located on St Martin’s Lane, Covent Garden. 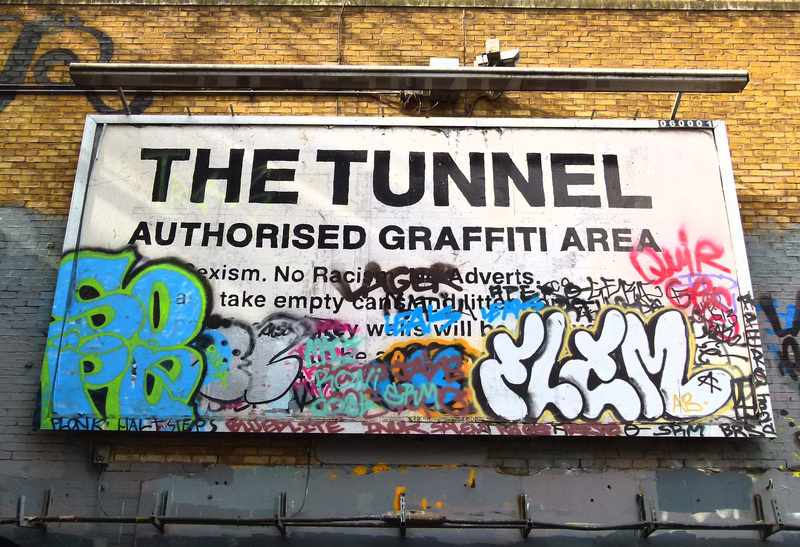 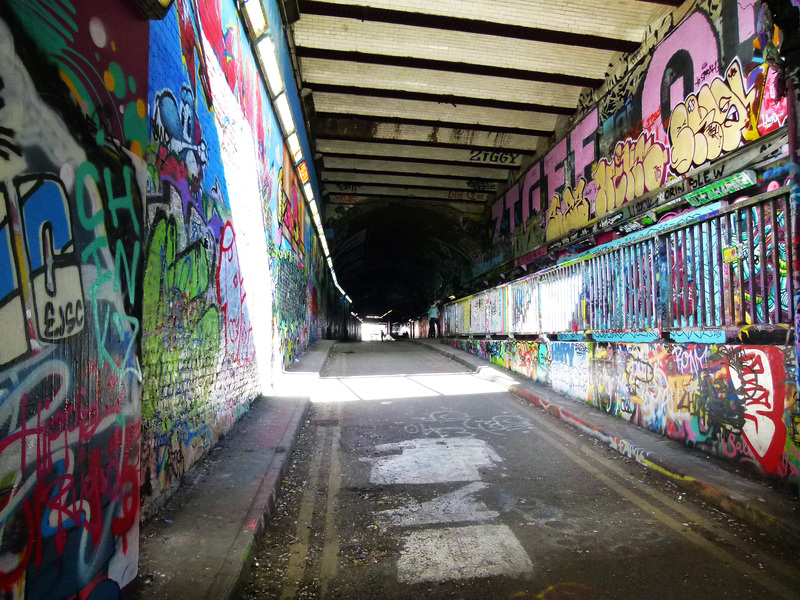 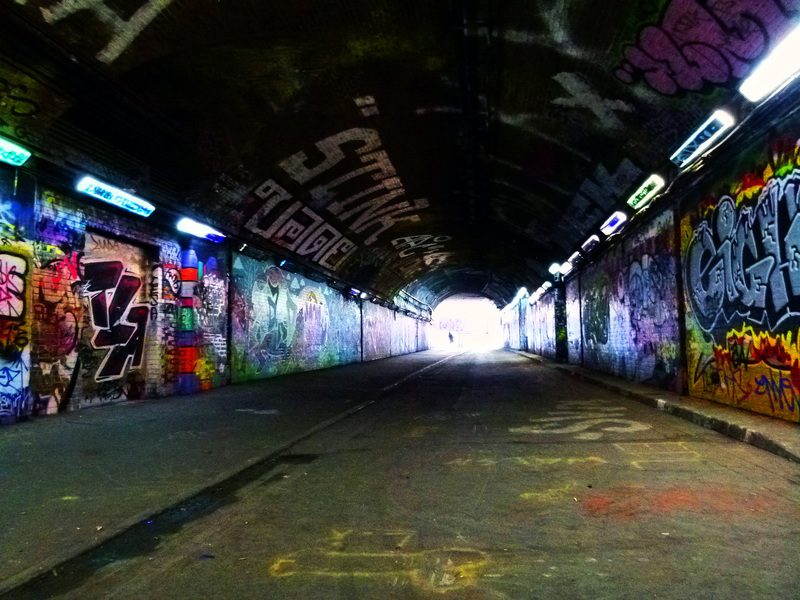 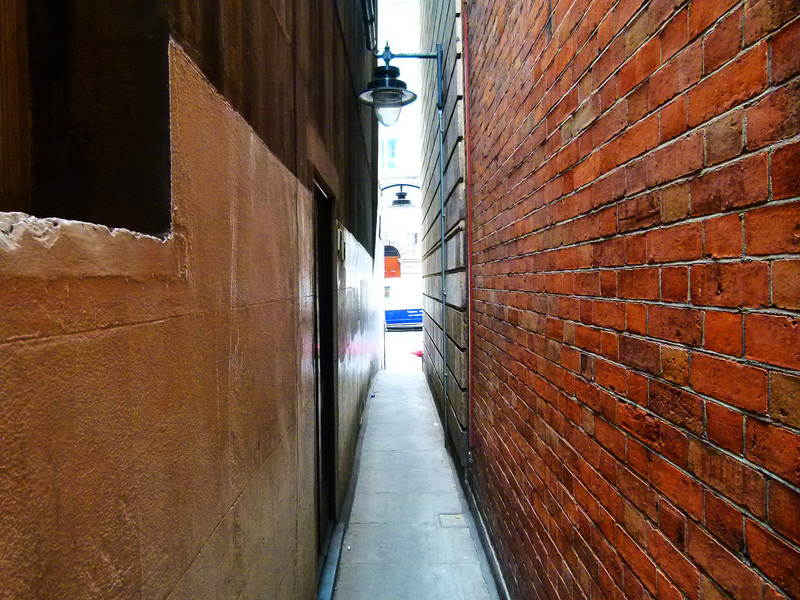 Running for approximately 250 ft. this secretive passageway is called ‘Brydges Place’ and provides pedestrians in the know with a quick link between St Martin’s Lane and Bedfordbury (just behind Charing Cross Police Station). 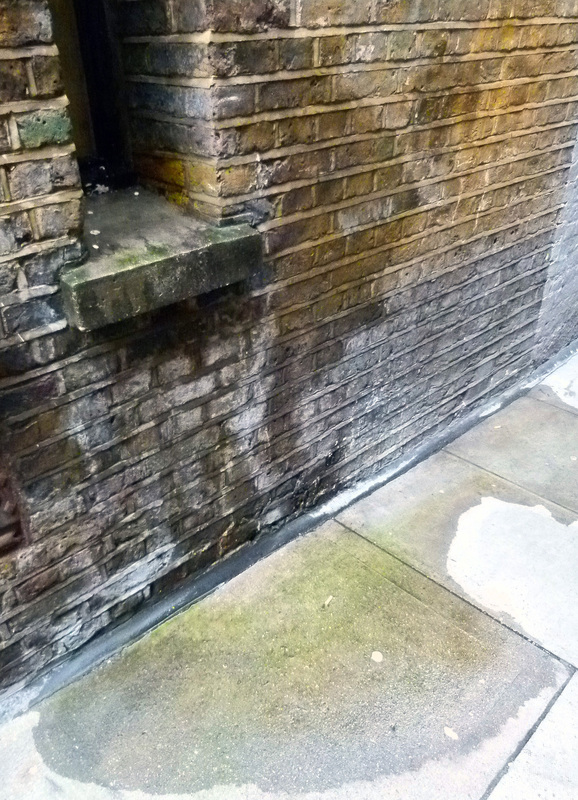 Brydges Place – St Martin’s Lane entrance. 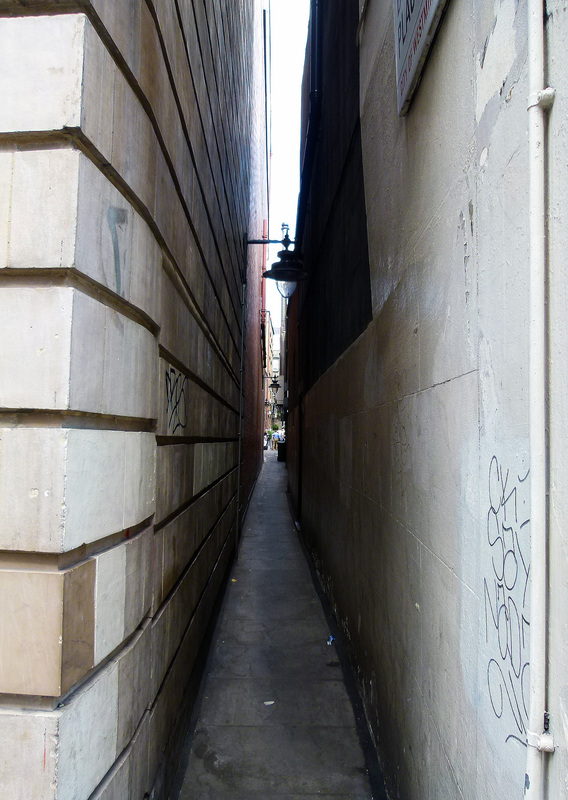 At its tightest point, Brydges Place is just 15 inches wide, making it London’s narrowest alley- so is best avoided if you suffer from claustrophobia. 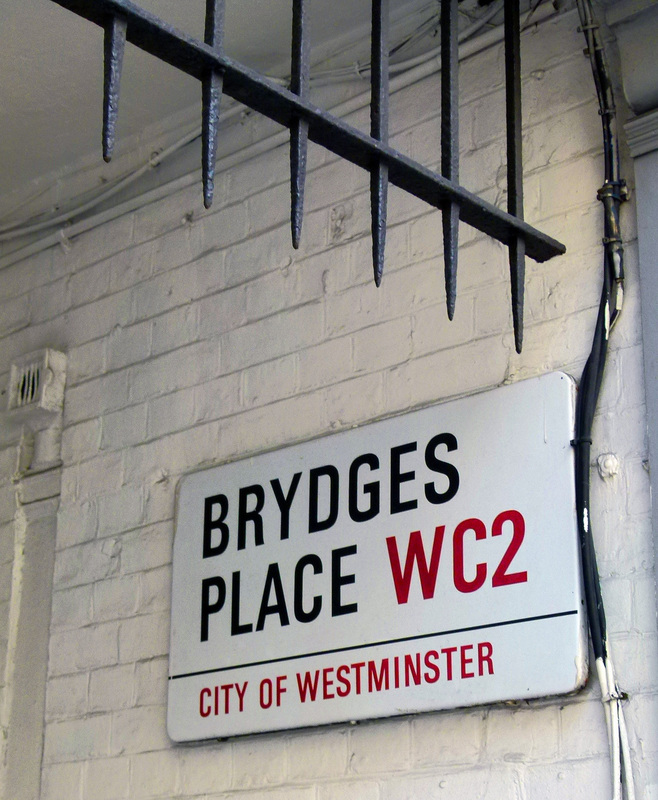 Brydges Place is named after Catherine Brydges of Chandos who married the fourth earl of the Bedford Family in 1608 (the Bedford family being the original owners of the land occupied by Covent Garden). 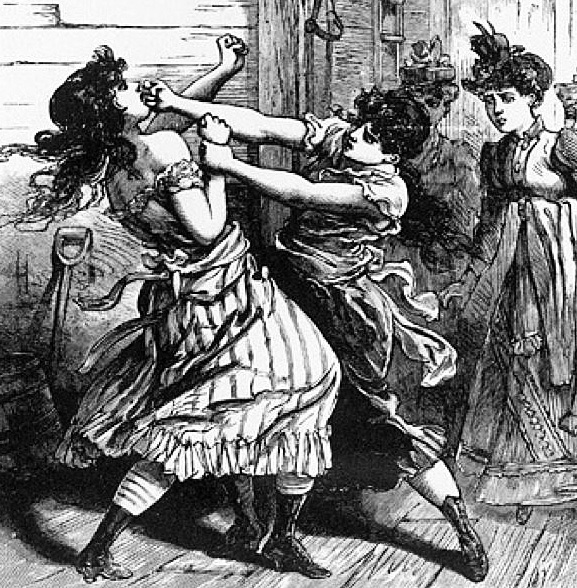 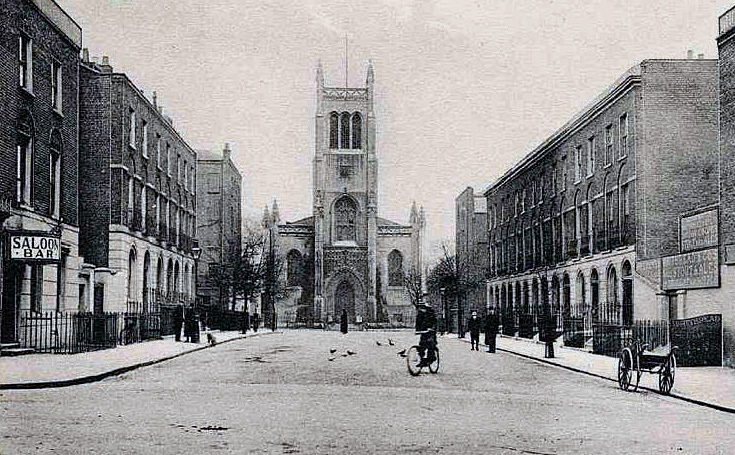 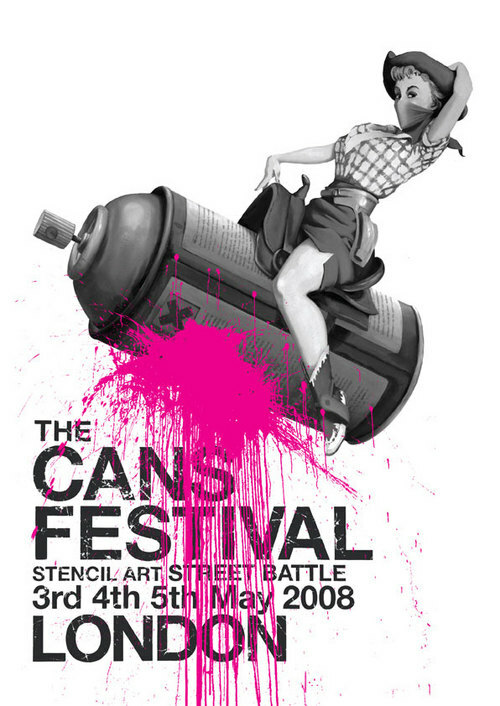 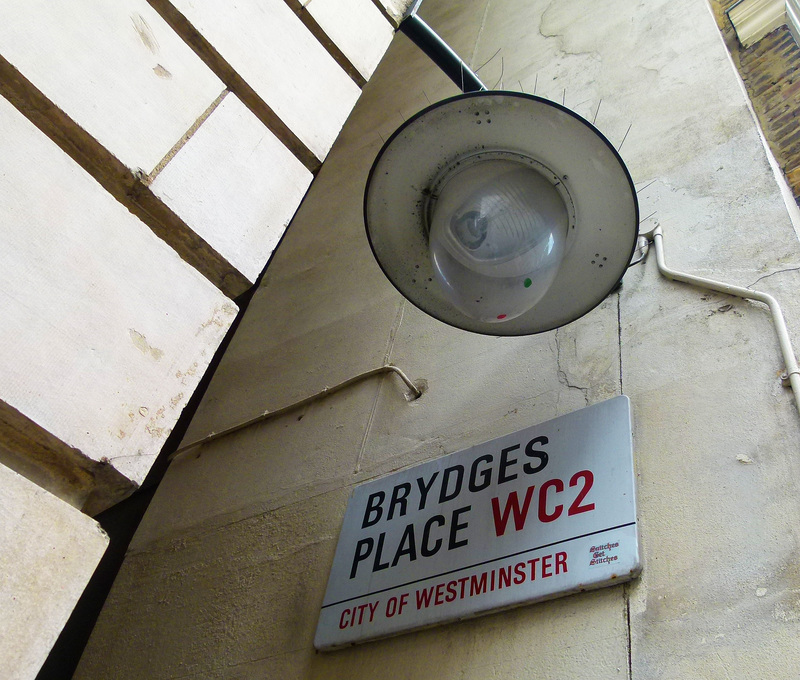 The Bedford dynasty gave their name to a number of streets in Covent Garden and, at one time, part of Catherine Street (home to the Duchess Theatre and the Theatre Royal) was known as Brydges Street. 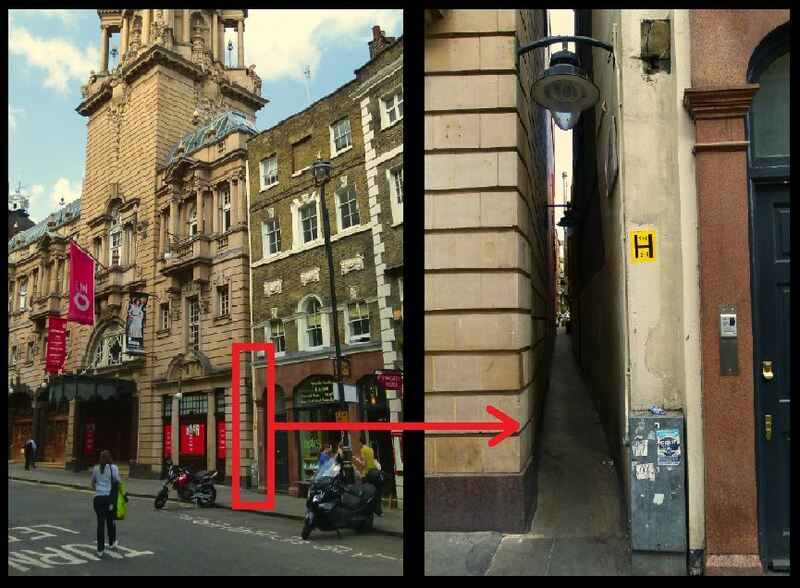 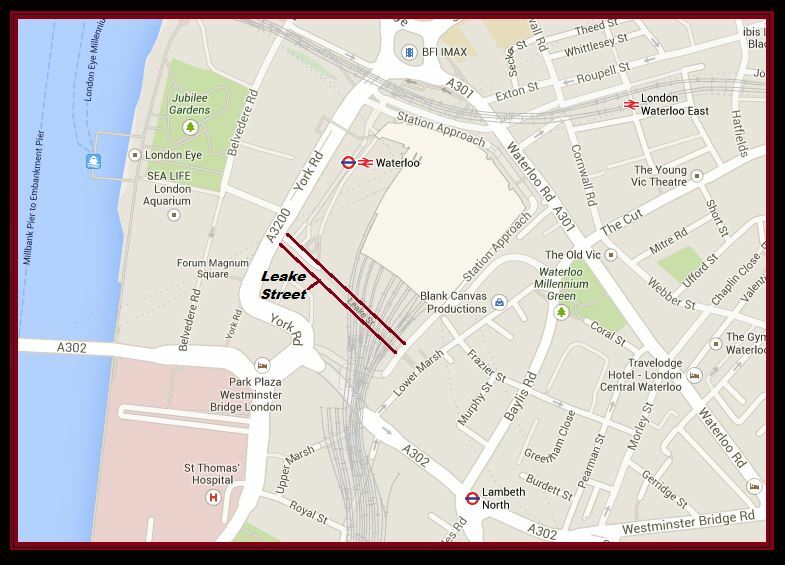 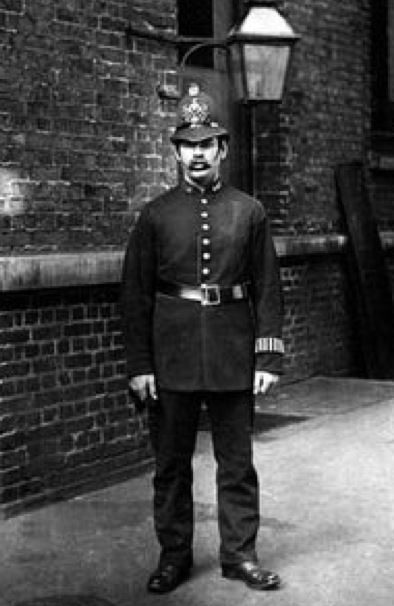 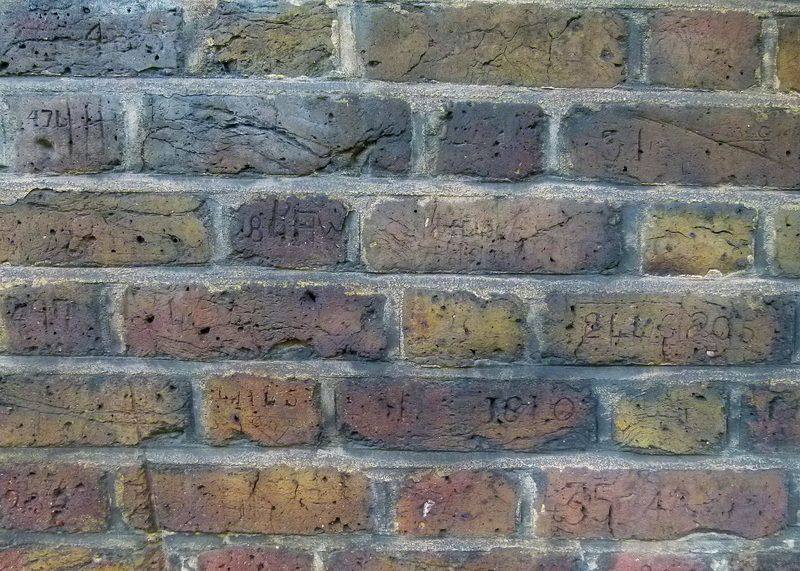 Brydges Place as it stands today was created at the turn of the 20th century when the London Coliseum- which provides much of the alley’s northern wall- opened on Christmas Eve 1904. 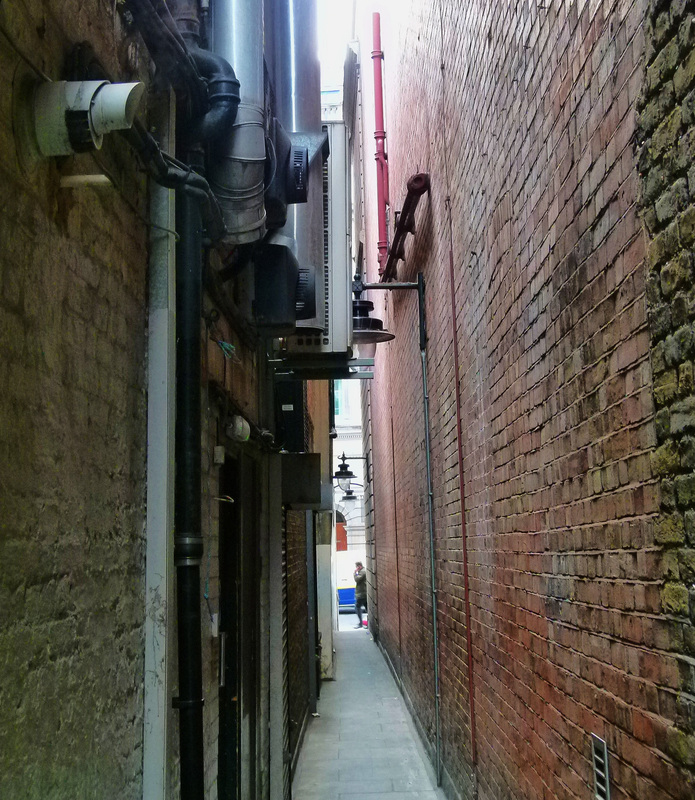 However, a passageway covering this ground is nothing new- an alley had existed on the site long before its present incarnation and was known as ‘Turners Court’ before morphing into Brydges Place. 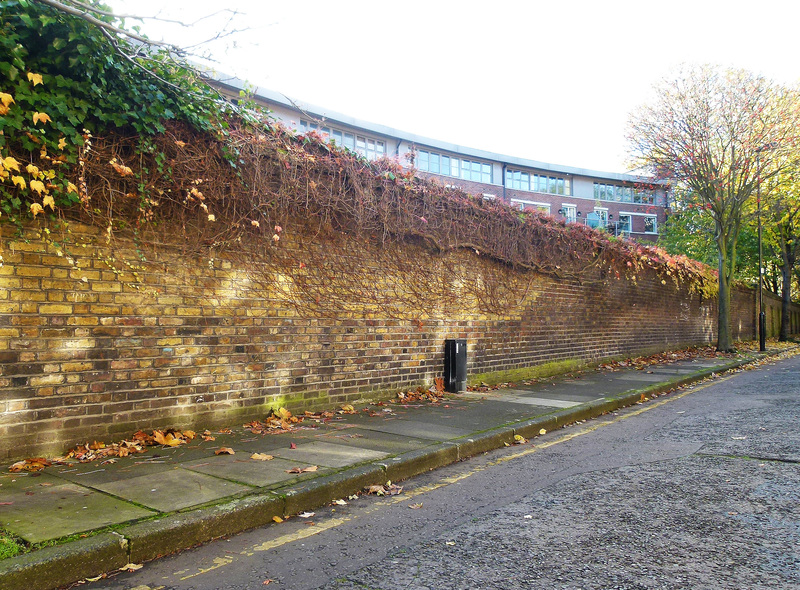 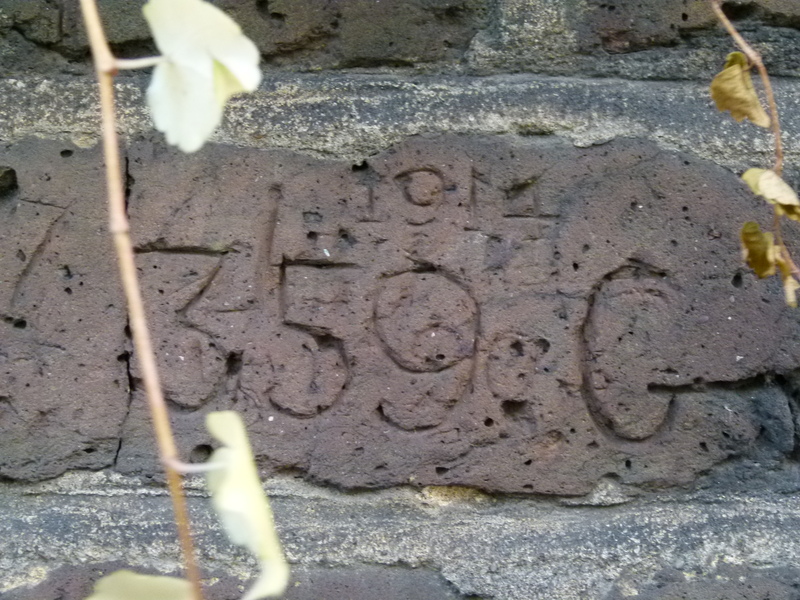 Turners Court…. 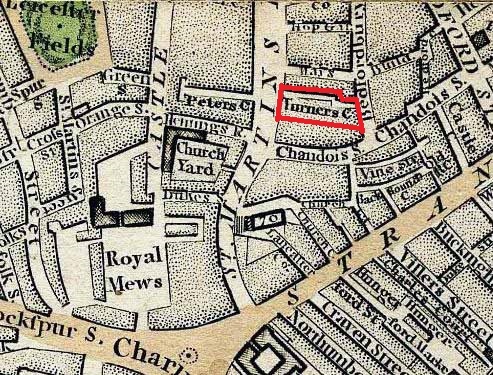 note; the area labelled ‘Royal Mews’ in the bottom left hand corner of the map is now covered by the National Gallery. 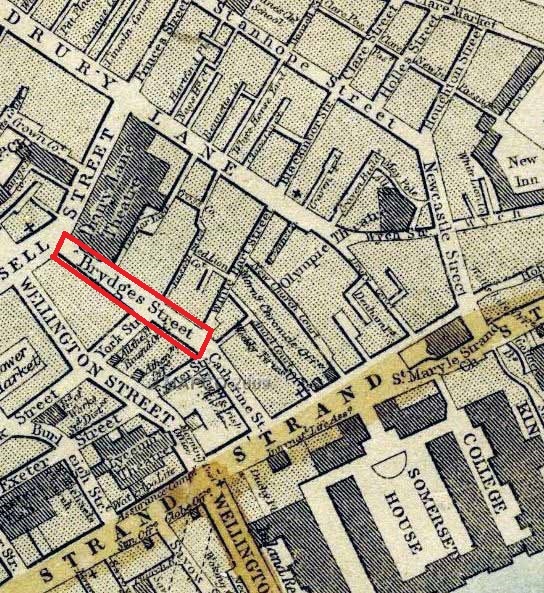 On 15th August 1885, The Times carried a sad report on Mr Dennis O’Malley, a 73 year old sandwich-board man who lived and died in a tiny home on Turners Court. 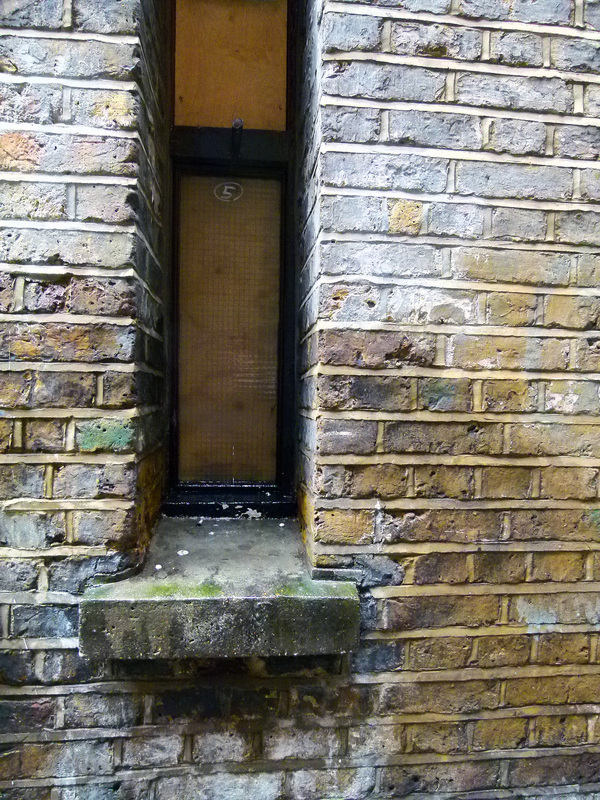 A narrow window looking out on Brydges Place. 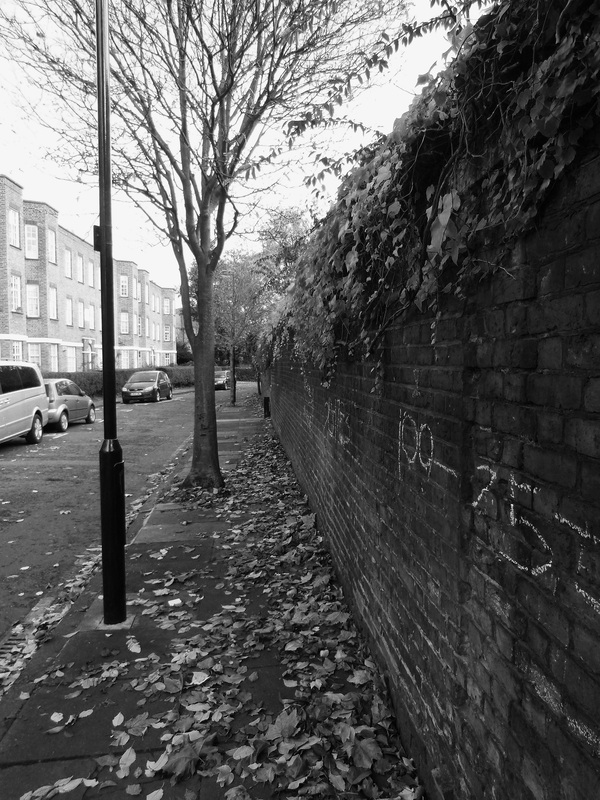 The flat- which Dennis O’Malley shared with his son- was described as a “front room in the basement” of a house into which another 14 people were crammed. 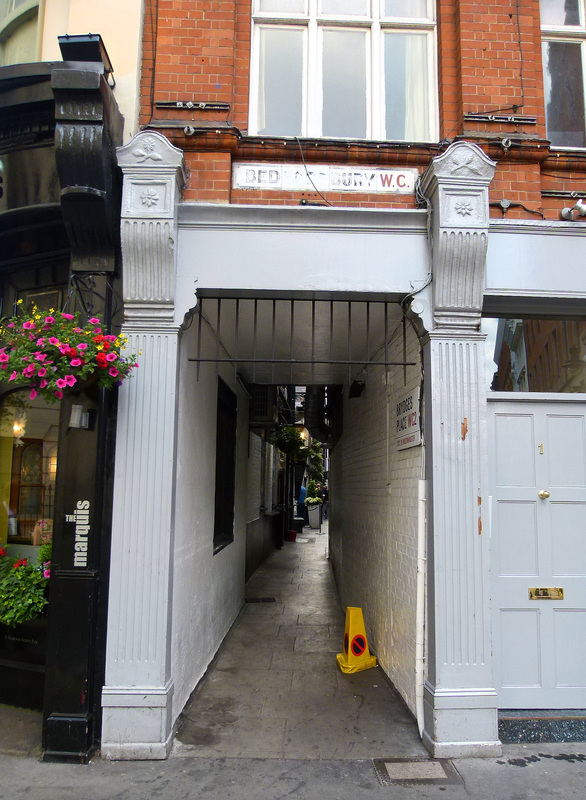 Today, the only active premise to be found tucked away on Brydges Place is the aptly named ‘Two Brydges Place’; a discreetly private club popular with those who work in the theatre and media (Simon Callow is a noted member). 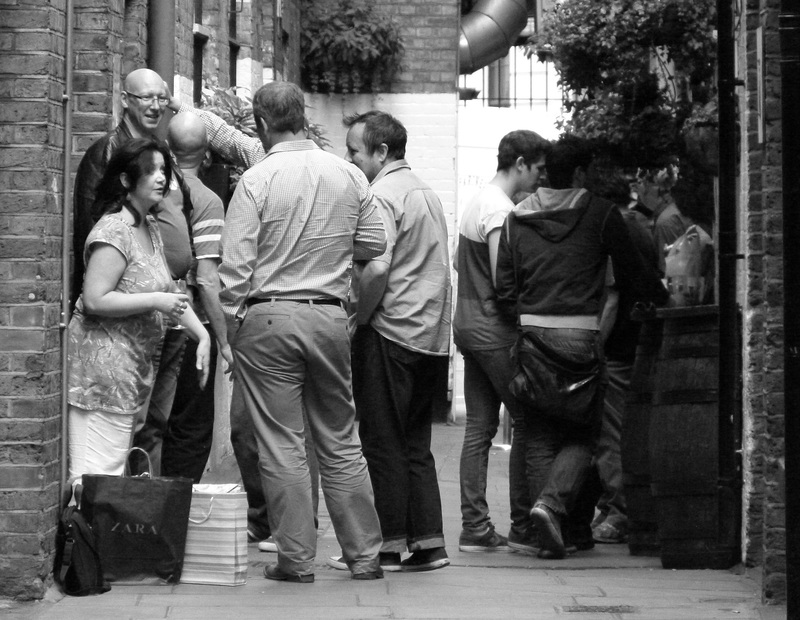 A group of drinkers gather outside Two Brydges Place.